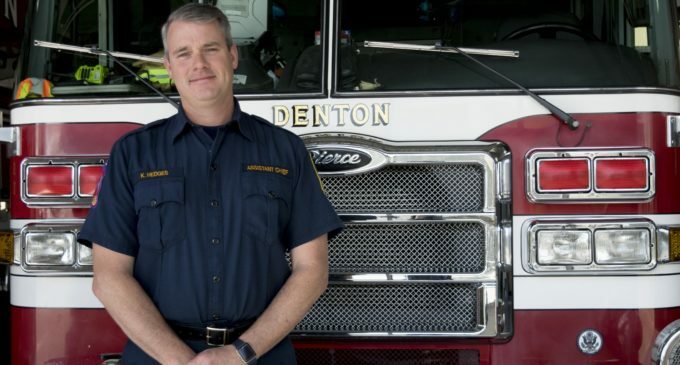 Kenneth Hedges has been appointed Fire Chief for the Denton Fire Department. Hedges will begin his new position on April 14. An executive board promoted assistant fire chief Kenneth Hedges to fire chief, Denton City Manager Todd Hileman announced on March 26. The promotion marks Denton’s first internal fire chief appointment in 31 years. The new position starts on April 14. Hedges will replace Robin Paulsgrove who held the position since October 2014. “I am turning it over to a great leader that is dedicated and will make a significant difference for our citizens,” Paulsgrove said during a city council meeting where he was awarded for his service. Mayor Chris Watts gave Paulsgrove a plaque for his service as fire chief. Watts said Paulsgrove was essential in the partnership with the emergency services district. 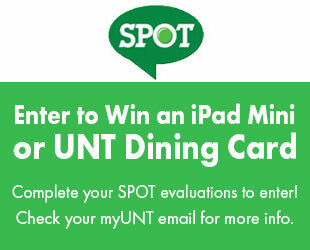 The city of Denton started the selection process in January, which involved the review of 111 applicants. These were narrowed to six finalists and Hedges was chosen by an executive board last week. “This is a very exciting opportunity, not just for myself, but for the department,” Hedges said. Hedges brings 23 years of public service and leadership experience to the job. He originally went to college seeking an agricultural degree. A family friend opened a fire academy and Hedges took the opportunity, leaving formal education. “It’s one of those things where you don’t know from the outside if it is something you will adapt to, but it just adapted to my personality,” Hedges said. He began working with the Sherman, Texas, Fire Department in 1995 before moving to Denton in 1996, starting as an entry-level firefighter then moving through the ranks. Hedges served as a fire driver, captain and battalion chief. Hedges decided to continue his education at West Texas A&M University where he earned a Bachelor of Applied Arts and Sciences in Emergency Management. He was also chosen to attend the Fire Service Executive Development Institute through the International Fire Chief Association, a three-week leadership development class in Washington, D.C.
Hedges was one of 21 fire representatives across the nation to attend. He said he hopes the experience will help with his new position as fire chief. The fire chief position involves developing a direction for the department, strategic planning and organizational development. Hedges says the hardest part of his job is the changes in what it entails. “The running joke is if the police department won’t do it then call the fire department,” Hedges said. Throughout his career, Hedges has helped citizens when smoke detectors go off, fixed bursting water lines and helped a cat in a tree. He says it offers a variety of experiences and can bring something new every day. The job involves 24-hour shifts but Hedges tries to find time for his family. He has a wife and three children. One of his children is employed with the Frisco Fire Department and another is looking to follow a similar path. Hedges said he enjoys serving the community. He is working with the Denton Independent School District and North Central Texas College to start a high school fire academy. The intent is to have students graduate from high school and be certified as a firefighter and EMT. In his current position, Hedges has managed 176 employees and served as the project manager for $20 million in capital improvement projects. “It’s a culmination of not just helping citizens, but the advantage of having a career where after 21 years you still look forward to going to work every day to see what kind of impact or difference you can make,” Hedges said.